Joe Lanceley or "Tipi Joe" as he is more often known is a multi discipline Indigenous artist and educator. 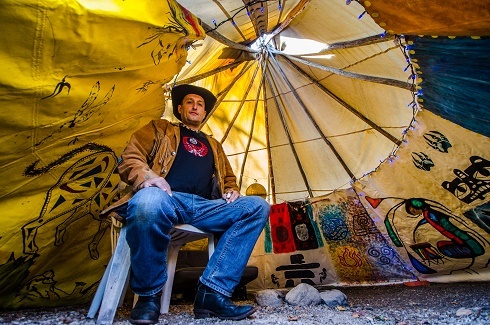 Having worked with the tipi for over 25 years he continues to create and share the beauty of the tipi and its teachings with students of all ages. An award winning artist and educator he has developed workshops in various disciplines including : drum making, mini tipis, soapstone carving, seven sacred teachings. multi media. Creating large art or tipi installments, organizing events and public speaking are additional pursuits where Joe uses his creativity. Education and dedication to the arts are his passions. Mini Tipi workshop allows students to learn about the tipi and its teachings. 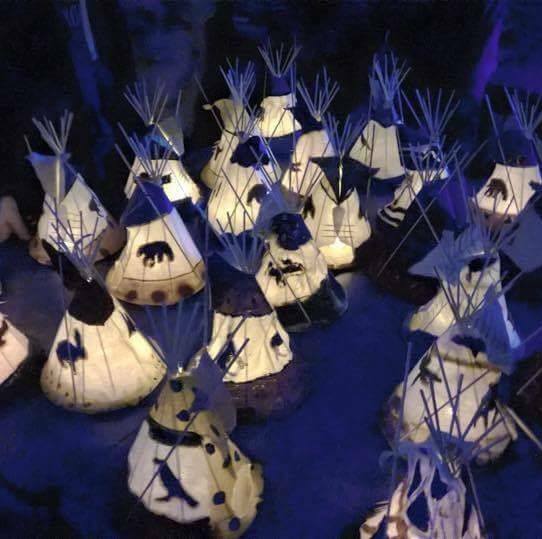 It begins with a demonstration of a full size tipi either in the class room or outdoors Each participant then gets to create their own model tipi while learning about traditional techniques and design. The Canadian Network for Arts & Learning does not endorse any artist, organization, program, or school. We recommend verifying all qualifications prior to any collaborations.